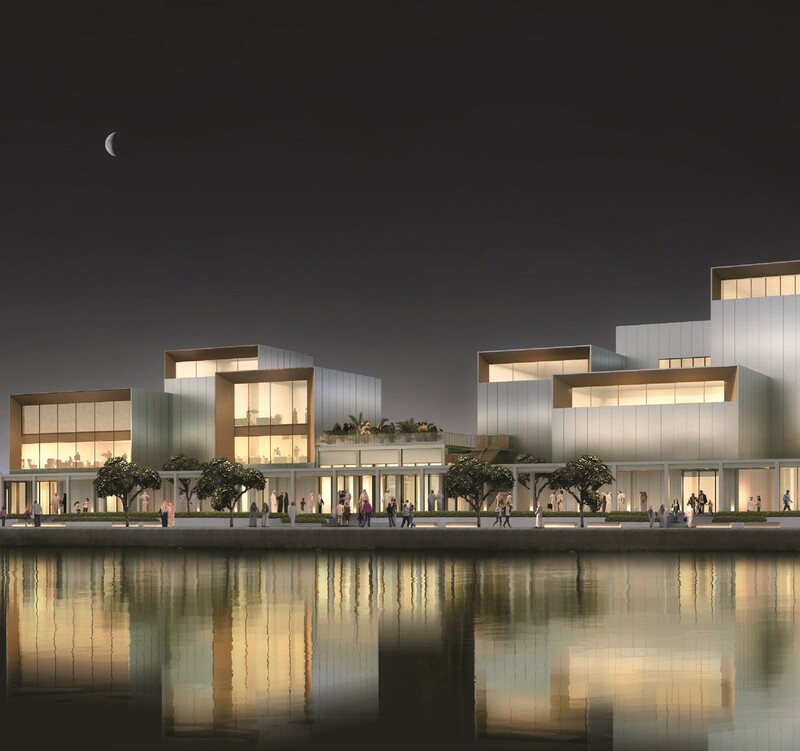 Systematica carries out a pedestrian flow study for the Jameel Arts Centre in Dubai. 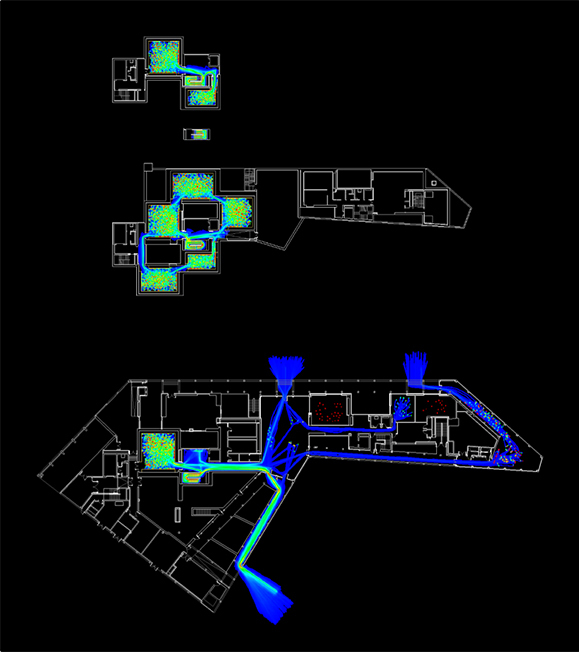 The study is based on the engineering principles developed in the field of pedestrian analysis for complex structures where pedestrian crowding is expected to be vital to the success or failure of any given facility or venue. In order to underpin the study with evidence-based and objective evaluation criteria, ad-hoc micro-dynamic pedestrian traffic simulation is realised using Legion ® software to evaluate expected pedestrian traffic and to calculate the throughput capacity of major vertical and horizontal connections. Visitor estimation is based on Level of Service approach where number of visitors is calculated considering maximum amount of people that can occupy simultaneously a space whereas maintaining an acceptable level of comfort. 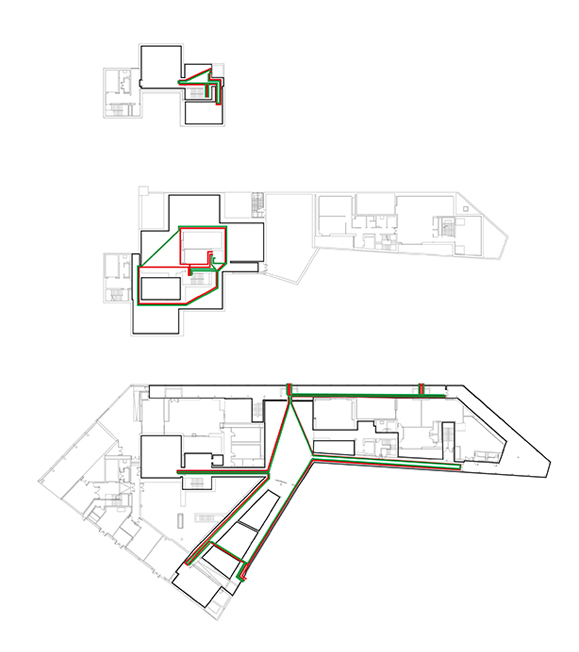 Internal circulation is studied and tested through the use of spatial analytical tools, Space syntax for mapping visibility, integration and the visual pull of spaces. In summary, the study conducted represents a scientific validation of project design in terms of pedestrian traffic and user comfort. Based on studies done some guidelines are provided in order to guarantee an optimal utilization of galleries. Main observations concern extension of some under dimensioned areas, replacement of few connection corridors and indications concerning the best positions for art pieces and wall mounted art pieces to ensure them maximum visibility. Scientific validation of Jameel Arts Centre design is provided, concerning overall people movement and users’ comfort.